Well, well, well, this is one of the more pleasant surprises of the year so far. A surprise, because we previously were unfamiliar with Southend-On-Sea (UK) band Ghost Music. And pleasant because the thirteen unassuming little gems packed into I Was Hoping You'd Pass By Here are delectable guitar pop gems of the highest order. The tunes are warm and inviting. They don't spring out and grab you by the throat, but they are waiting to give you a sincere hug when you give in to them. There is a bit of Galaxie 500, Pavement, Silver Jews, Yo La Tengo, and The Bats in the DNA, and for us those are very good references. While the set is all pop songs, there is a good bit of variety in the songwriting so the listener's interest is maintained throughout. If you like guitar pop, you will want to explore this one. 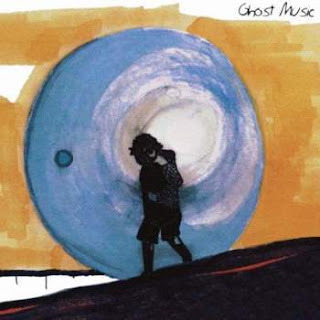 Ghost Music are long-time collaborators Matt Randall and Lee Hall (of Beatglider), joined by Roy Thirlwall and Leighton Jennings. I Was Hoping You'd Pass By Here is out now via Arlen.